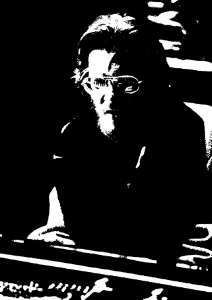 How not to speak highly of Bill Evans, this outstanding musician who ranks among the jazz greats of all times in spite of a relatively short career (twenty-five years, 1955-1980)? 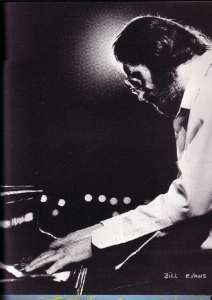 He had it all as a pianist and it is just impossible to find a week point in his playing: one praise rightly his harmonic science, but the beauty of his melodic invention, his rhythmic mastery, his impeccable technique are remarkable all the same. The listener is not aware of his virtuosity which is only, for the artist, the servant of his music; besides, "virtuoso" is the last epithet one would think of for Bill Evans. However ... Capable of excel on extremely slow tempos as well as on up tempos, it suffices to listen to some live recordings in clubs to realize he was able to really swing contrarily to what some said. The romantic side of his music is unquestionable, but above all he was a jazzman. When improvising on up tempos, we hardly see his fingers moving: an impressive motion-saving. Left-handed, he had large hands, able to strike easily four-note chords in open voicings on intervals such as tenth, eleventh, on white and black keys too. He succeeded in many fields: as a sideman, leader of legendary trios, soloist, composer ...Not only he toured all around the world with his trio but he played with all the great jazzmen of his time, and the list is long. During a recording career managed with honesty and intelligence, he made, without concessions- evidence of a strong personality- wonderful records in all settings: solo, "conversations with himself" in re-recording, duo, trio, quartet, quintet, small and large ensembles, symphony orchestras. 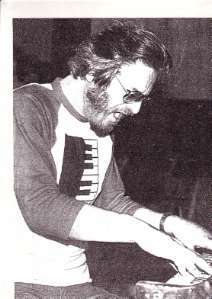 He was a perfectionnist, so that it is almost impossible to mention a bad Bill Evans album having been released during his lifetime. On the contrary, he leaves a fascinating recorded opus, of an amazing richness and beauty.